We have a tradition at our house that Friday night is pizza night. What could be better than a chewy homemade pizza crust smothered in a combination of flavorful ingredients; BBQ chicken, roasted veggie, BLT… the options are endless. Pizza night is easily one of my favorite dinners of the week. This past Friday night, however, Ryan had a gig. Nevertheless, I was still craving my weekly pizza fix, and while I could have made a regular sized pizza and had lots of leftovers, I decided to make my own individual pie. I love making single servings, to me, it makes the presentation more special. I decided upon a very simple margarita pizza, filled with fresh flavors of tomato, basil, mozzarella and fruity olive oil. Yum. What is especially great is how quick and easy it comes together; in less than 30 minutes you have your own homemade pizza, yes! 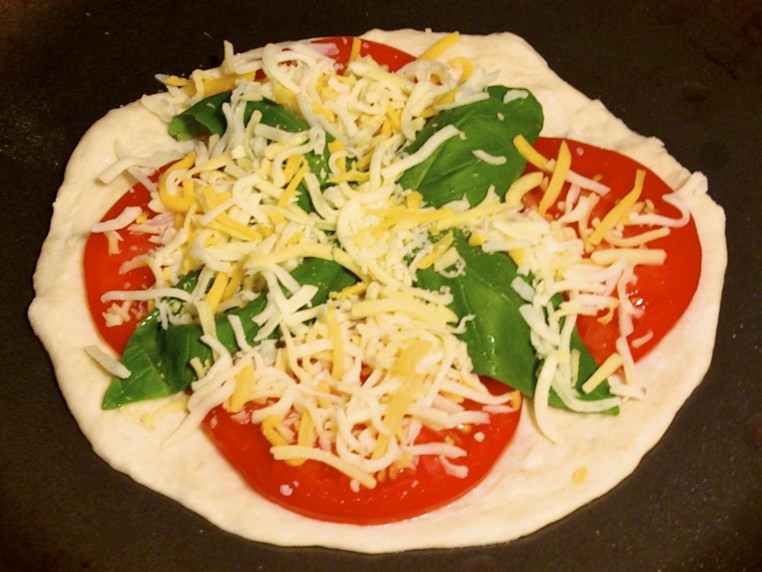 What are your favorite toppings for pizza? Let me know below! 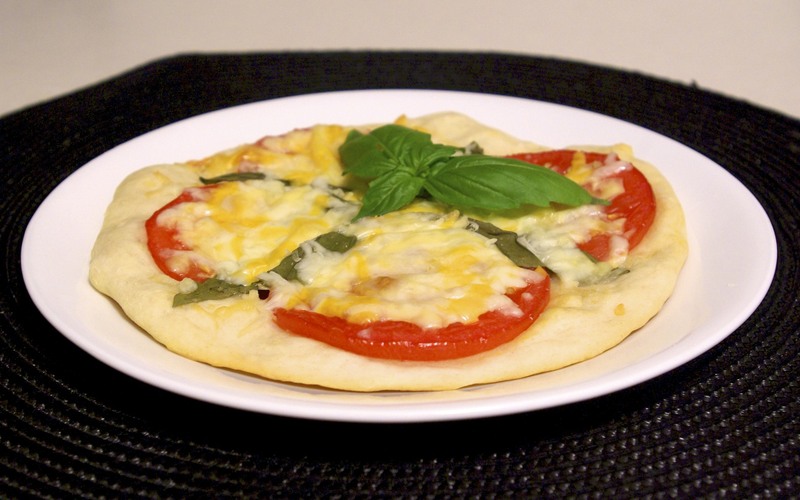 I am a big fan of very thin pizza crust, though I don’t like it crispy, so this pizza dough recipe yields one thin 7-8 inch chewy pizza dough. If you prefer a crispy crust, you may bake the crust first for a few minutes, then add the toppings and continue baking. 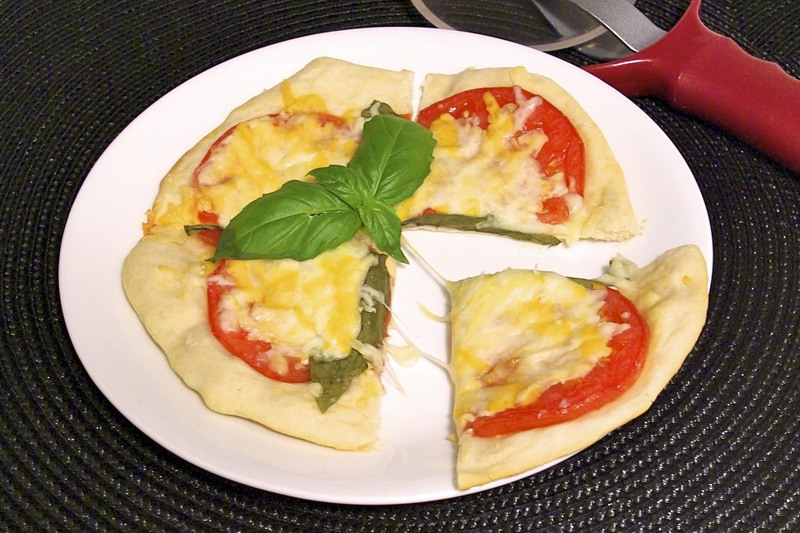 Similarly, if you prefer a thicker crust, simply double the recipe. It’s easy! 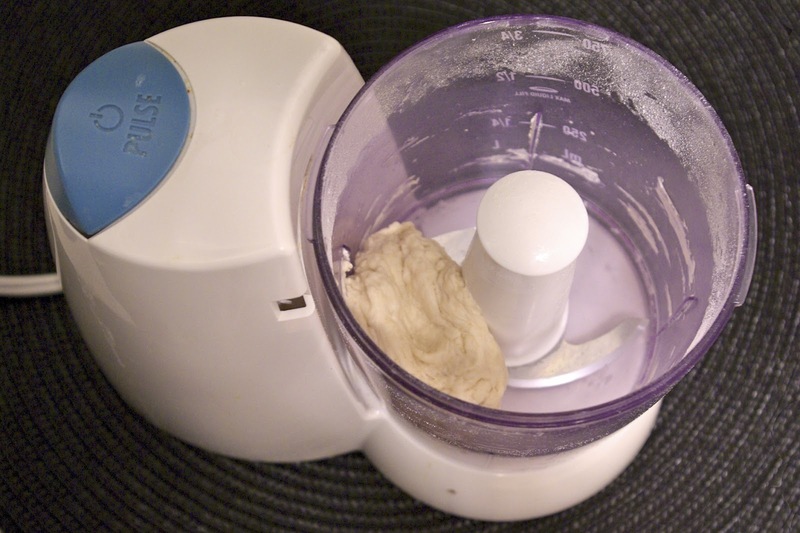 I made my pizza dough in a mini food processor. If you don’t have one, no worries, simply follow the steps by hand instead. 2. In a small bowl whisk together water, yeast and sugar. Set aside for about 5-10 minutes until foamy. 3. 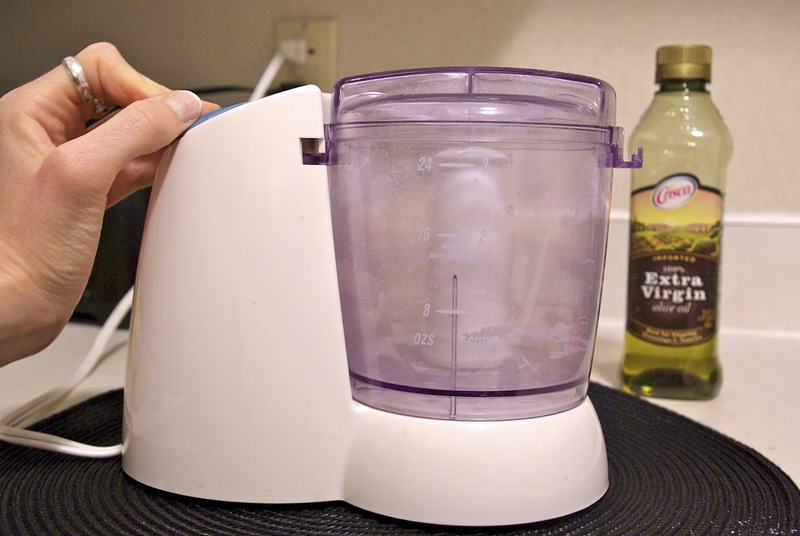 In a mini food processor (or by hand) mix together flour and salt. 4. 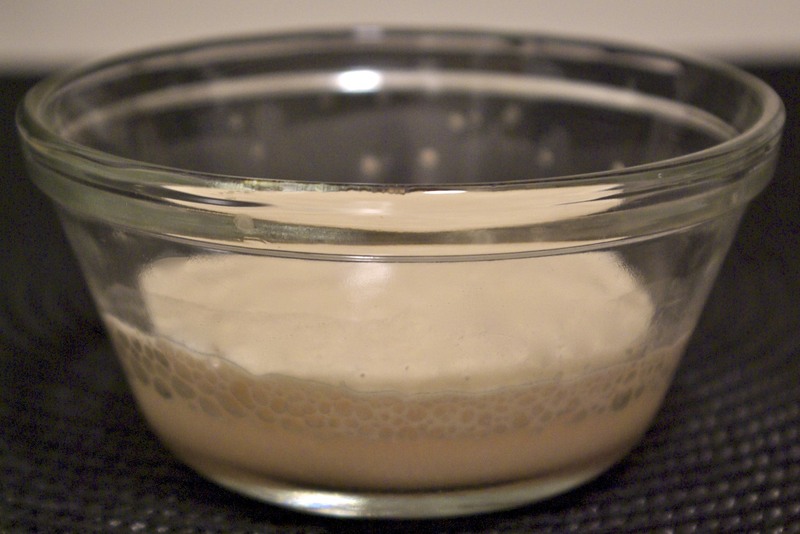 Stream in water-yeast mixture, and pulse until the dough comes together. Add 1 tsp. olive oil and pulse a few more times. 5. Sprinkle your work surface with flour. 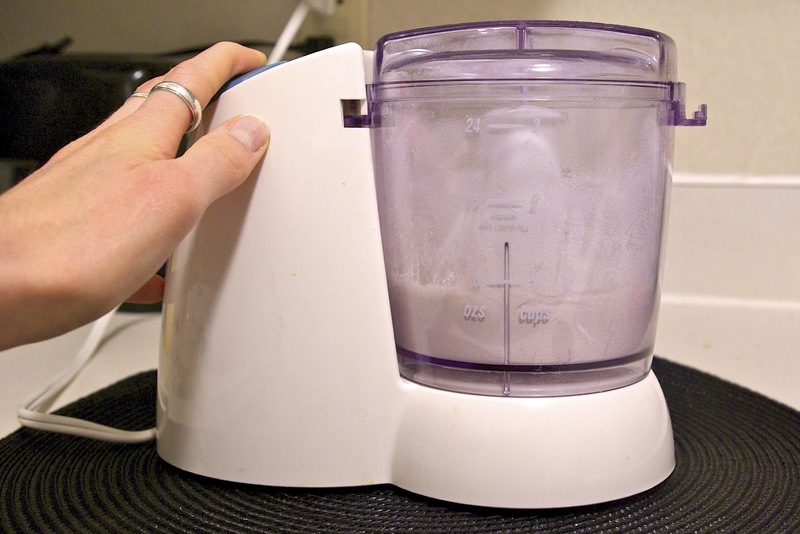 Remove dough from processor and knead a few times on your work surface; add more flour if dough feels too tacky. 6. 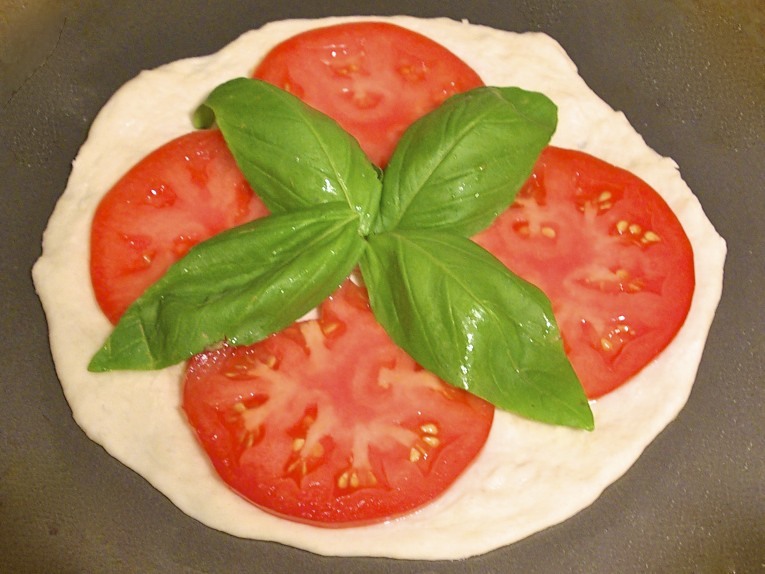 Let dough rest for about 5 minutes while you slice your tomato. 7. 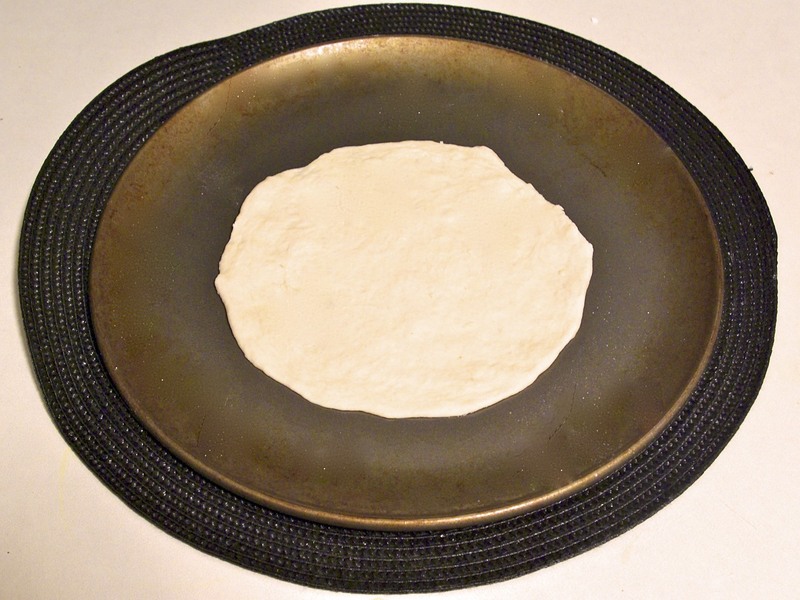 Stretch dough to desired thickness and place on a baking sheet or pizza pan. 8. Mix together remaining olive oil with a pinch of garlic powder, and brush on pizza dough. Add tomato and basil, reserving 2 basil leaves for later. 10. Place pizza in preheated oven and bake 6-9 minutes, or until cheese has browned and your desired crispiness of crust is reached. (I baked mine for about 7 minutes.) While pizza bakes, chiffonade your remaining basil. 11. 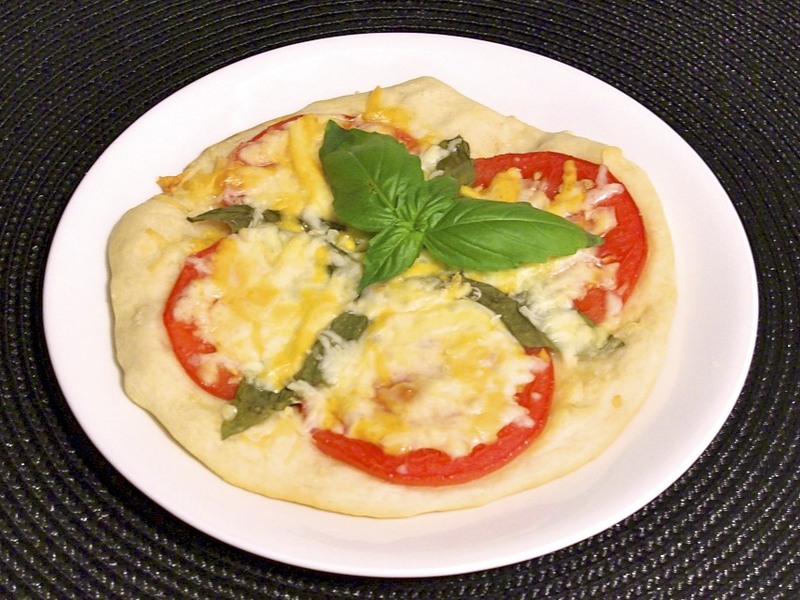 Once pizza is baked, remove from oven, top with remaining basil, and enjoy! Now this is what I call perfection! I'm definitely going to have to try this! This will be perfect for when I'm alone in Angers. Yeah, I love making single serve meals for the nights that Ry gigs, it's nice not to be overwhelmed with tons of leftovers.